Pink ombre chocolate dipped palmiers, all dressed up and ready for Valentines. 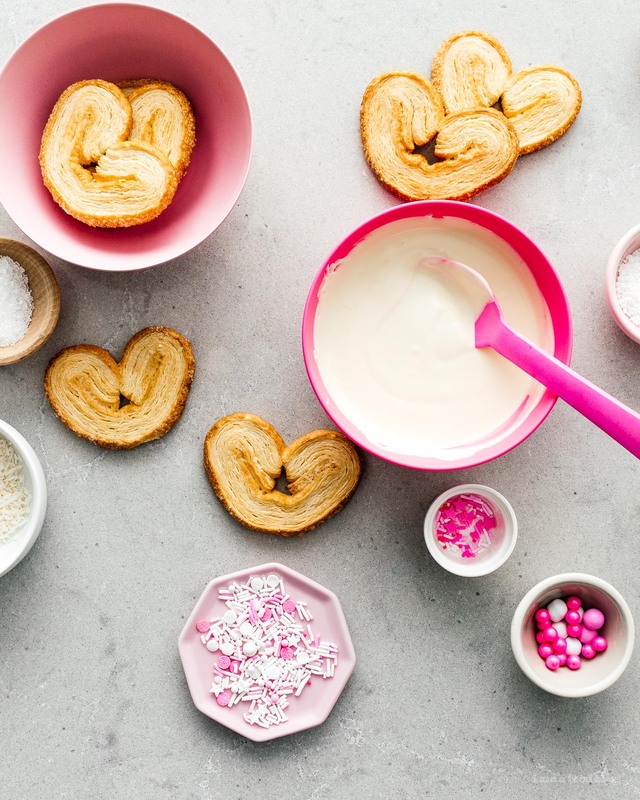 It’s Valentine’s this week, which means it’s time for ALL the pink and red sweet treats! I love the kitschy side of Valentines, so give me all the pink treats! Here, store bought palmiers take a little dip in white chocolate candy melts and get showered with sprinkles of love. 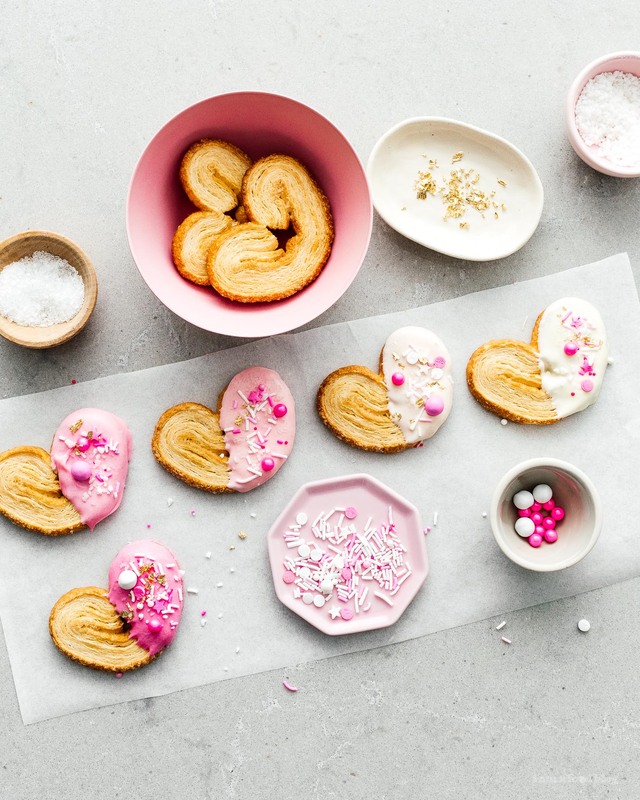 Palmiers are the perfect Valentine’s treat: they’re flaky, delicious, and naturally heart shaped. 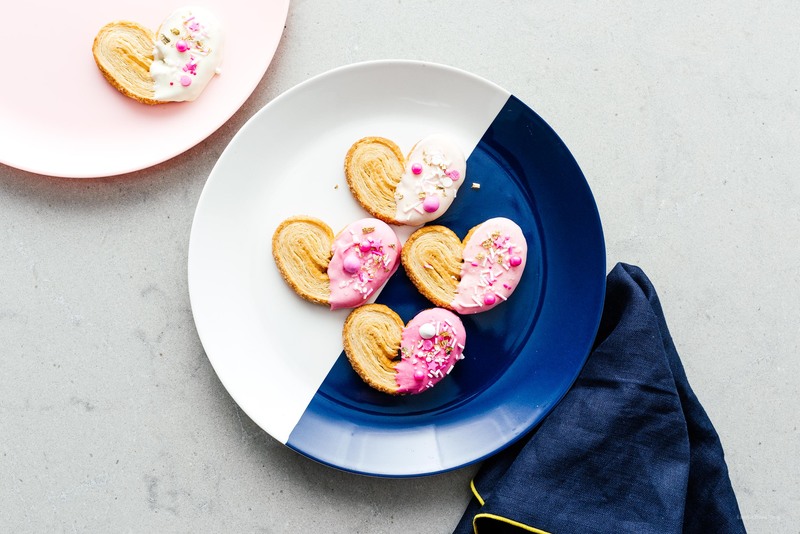 With some white candy melts, you can turn them into perfect little Valentines. I went ombre and dyed the chocolate melts as I dipped with pink gel coloring, which meant that each palmier was unique. A little bit of gold leaf made these guys extra special. In a small microwave safe bowl, microwave the chocolate melts in 30 second increments, stirring in between, until smooth. Dip half of the palmier into the chocolate melt and decorate with sprinkles and gold leaf while the chocolate is still wet. 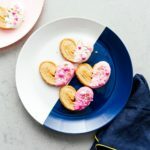 To achieve ombre palmiers, add a small amount of pink gel food coloring into the white chocolate melts and stir. Dip and decorate, then add a tiny bit more of the food coloring into the chocolate melts. Let palmiers set until the chocolate melts are hard to the touch, then package up or enjoy!